To my knowledge, there are no complete extant Viking purses, though several wooden handles have been found. The construction of this purse is pure conjecture on my part. Illustration of sample from the Haithabu excavation with fragments of textile attached. 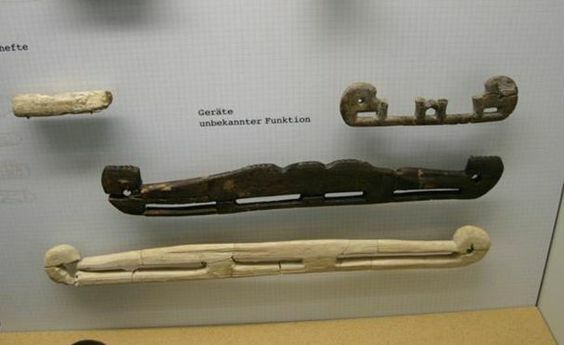 Below are handles on display at the Haithabu Museum in Germany. 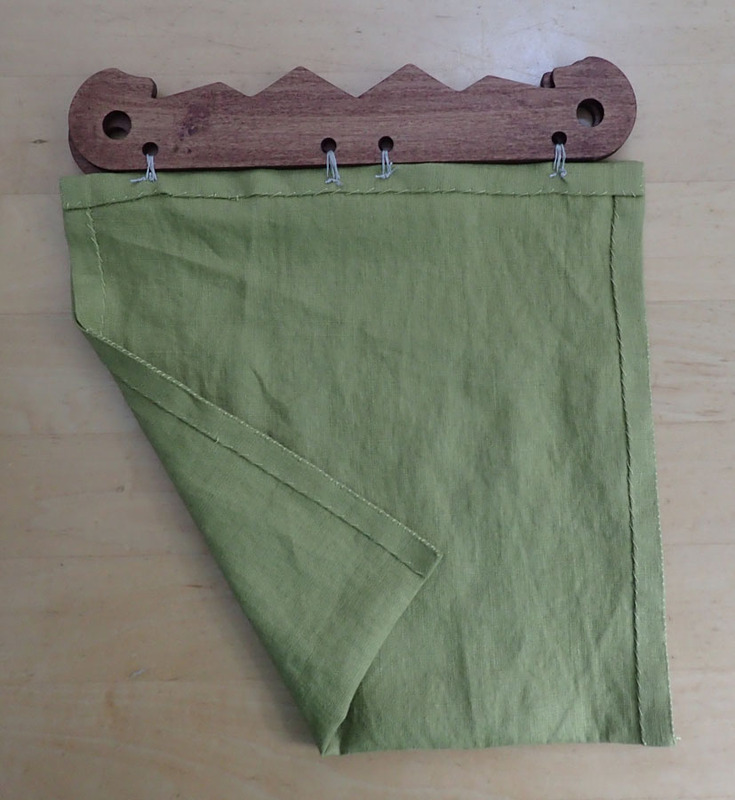 The handles are documented as being ash and maple. I chose poplar because that’s the material I could find in the store. Background on Haithabu: The port town was founded by the Danish King Godfred in the year 808, when he forced merchants to move there from the older trading center, Reric. This move ensured that the lucrative trade routes were brought within Godfred’s borders. Hedeby was situated on Jutland, in the inner part of the Schlei fjord, which is near both the Baltic Sea and rivers that extend to the North Sea. The soils in and around Haithabu are exceptional for preserving organic material. Cut one rectangle of fulled wool fabric 9”x20”. This is the body of the purse. 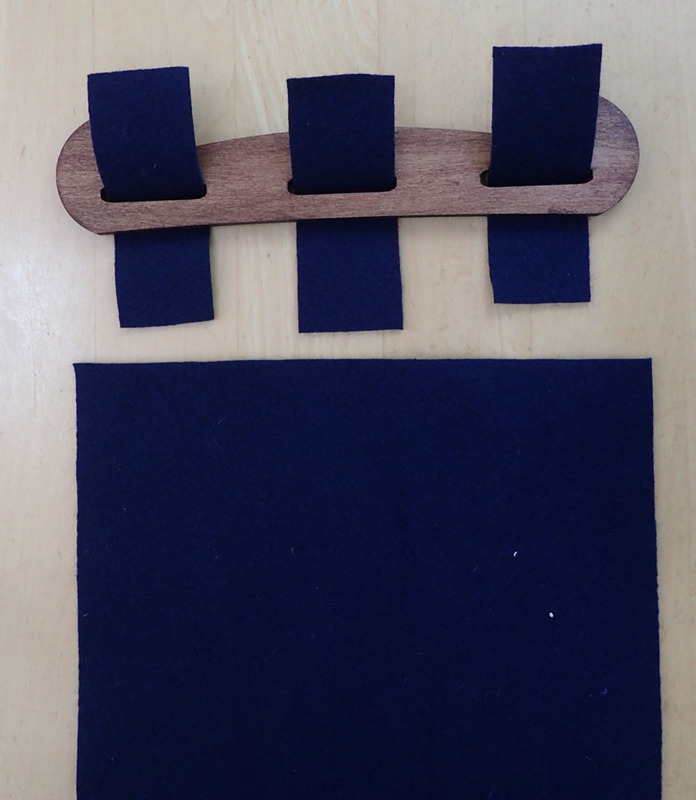 Cut six small rectangles of the same fulled wool fabric 1 ½” x 4”. 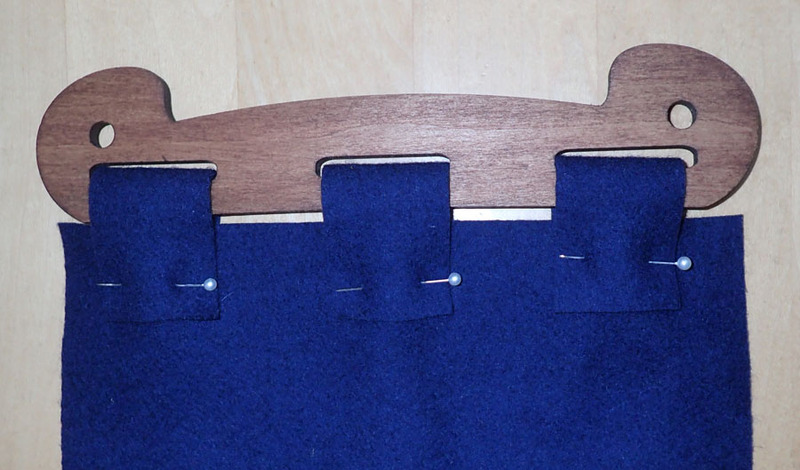 These are the tabs that will attach the purse handle to the body of the bag. 1. Loop one of the tabs of wool though one of the handles and pin it to the body of the bag. 2. Repeat this step two more times until the handle is pinned to the purse. 3. For each tab, sew through the tab and the purse. Repeat steps 1-3 for the other handle. 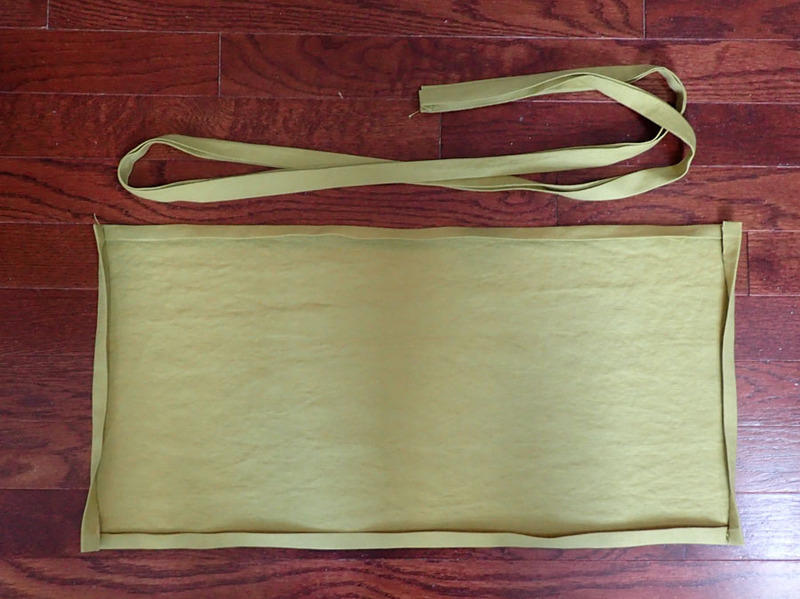 When your handles are attached, fold the bag in half, right sides out. 5. 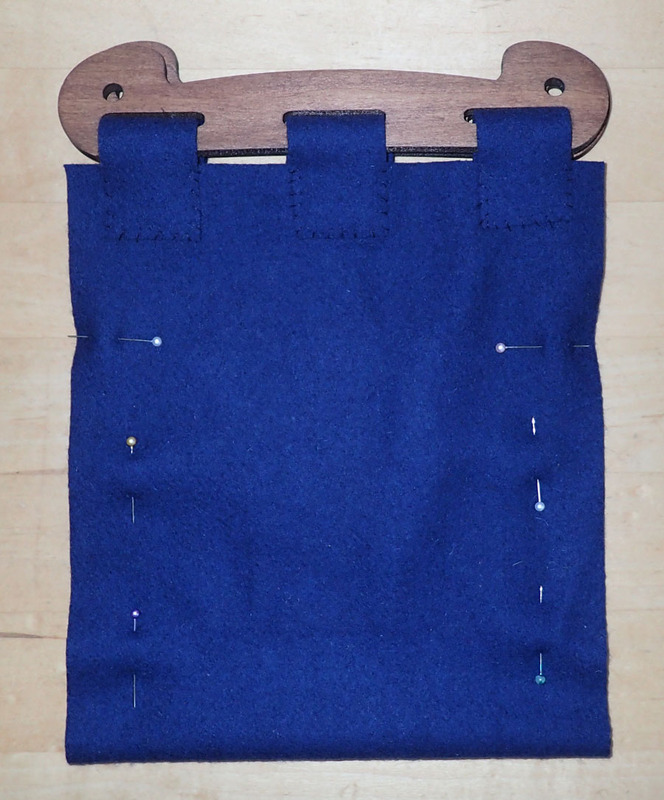 Using a whip stitch, sew one the side of the bag up to within 2 ½-3” from the top. 7. Add a leather lacing for the strap. Cut one rectangle of linen fabric 12”x24”. This is the body of the purse. 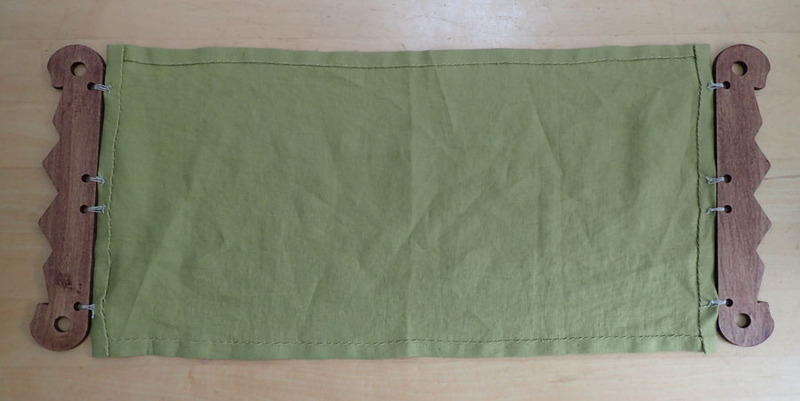 Cut 1 strip of linen 2 ½” x 54”. This is the purse strap. 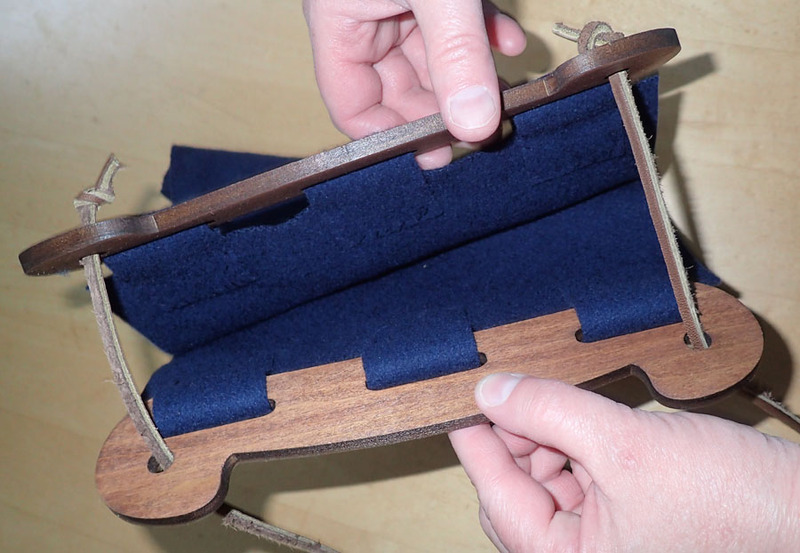 Press the edges of the purse body ½” around the edge of the purse and then ½” again. 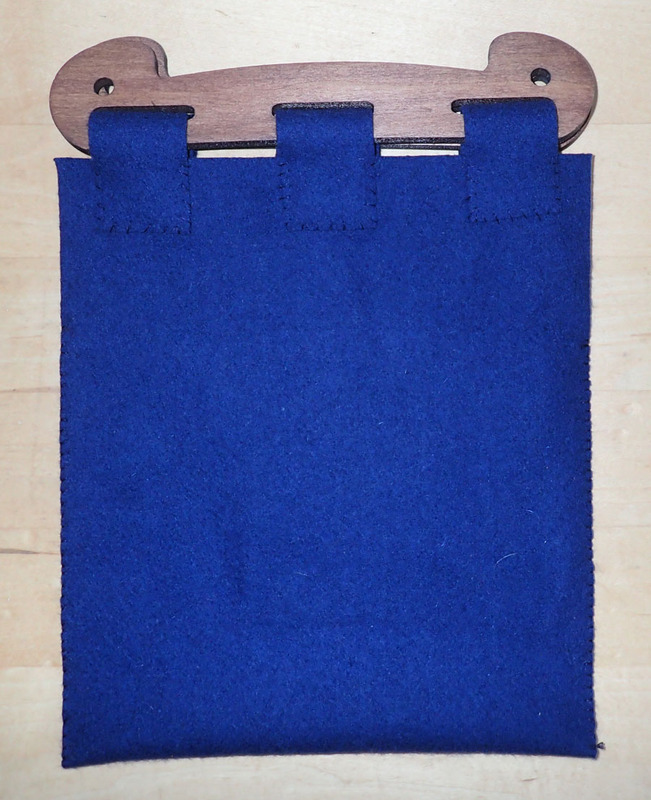 For the purse strap, fold the edges in ¼” then fold the strap in half. After you press the edges, sew them down. 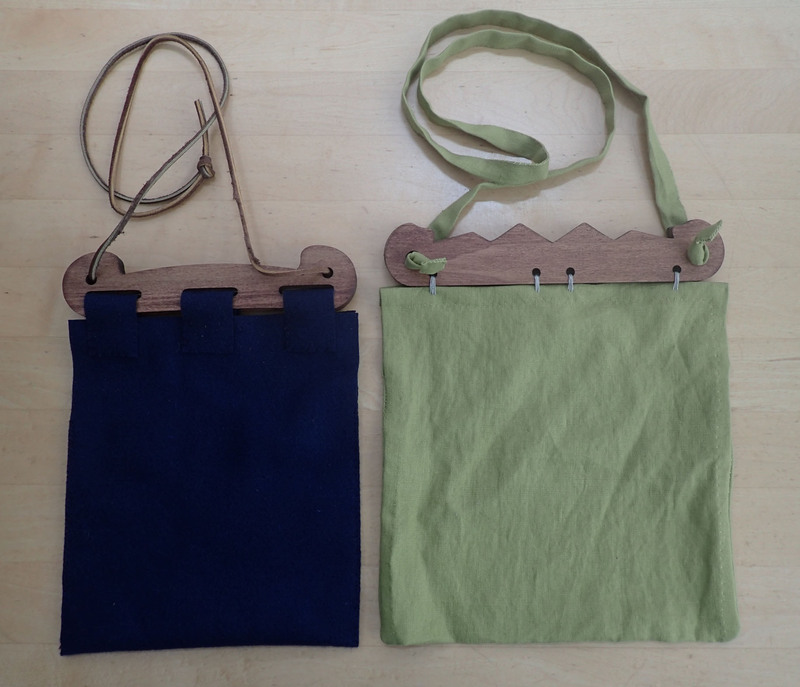 Now you’re going to attach the handles to the purse body. Double thread your needle. Run it through the purse, through the hole in the purse handle and then through the purse again. Do this four times for each attachment. When your handles are attached, fold the bag in half, wrong sides together. 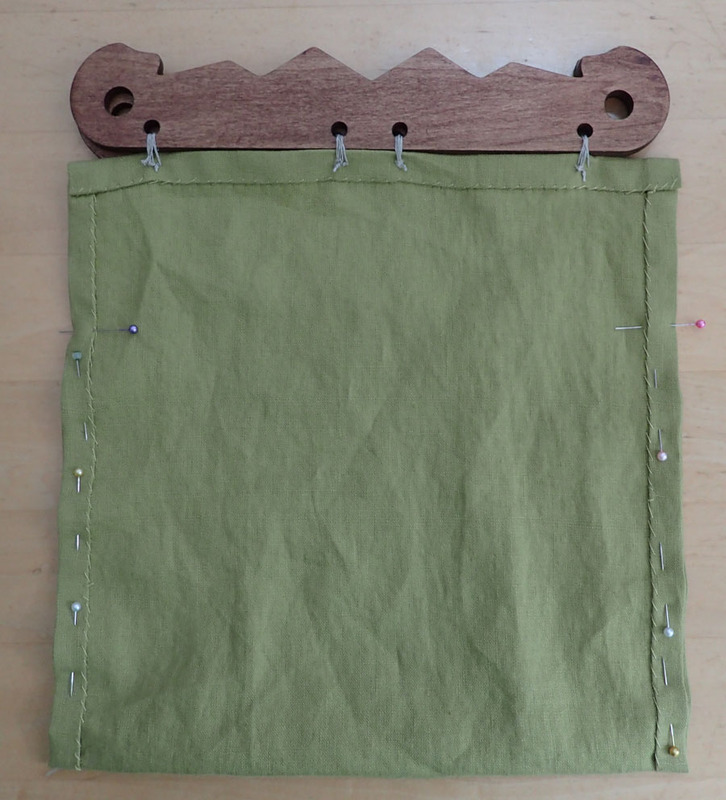 Using a whip stitch, sew one the side of the bag up to within 2 ½-3” from the top. Thread the purse strap through the holes and tie a knot in each end.